August 9, 1969: the Manson family entered the Tate house, beginning their two-day murder spree. 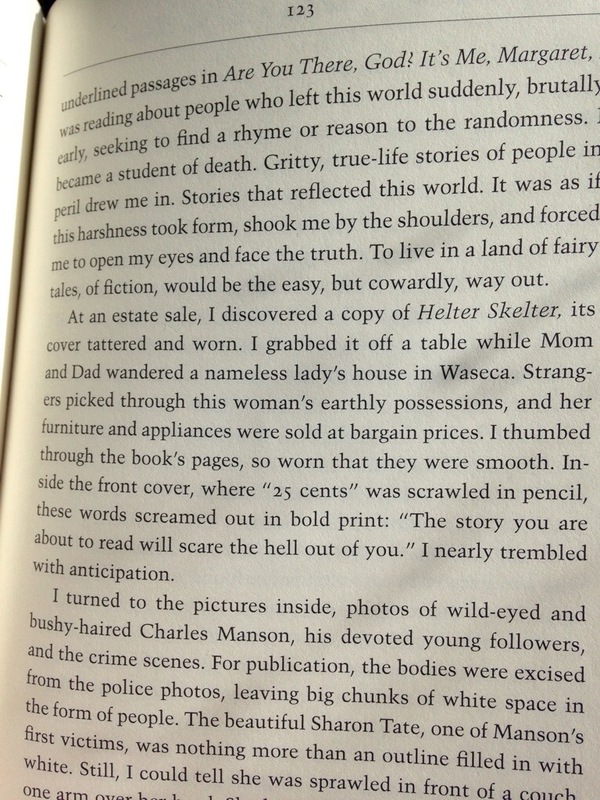 I became intrigued by this story when I first read “Helter Skelter” when I was 11. I think there were ties between my dad’s job as a gravedigger and my fascination with gruesome, true crime stories. Do you remember the Manson murders? Or if you weren’t alive then, did they enter your consciousness as they did me? I wasn’t alive when the Manson murders took place, but they certainly entered my consciousness. I recently bought Helter Skelter. Looking forward to reading it soon. This is also the day that Fat Man was dropped on Nagasaki. A dark date on the calendar. I actually had a copy of Helter Skelter in my bookcase when I was a little boy. I scarcely remember how it got there. I flipped through the photographs too. I never read it. Patricia Krenwinkel has been in the news recently on account of a video interview of her. When she was asked thirteen years ago before a parole review who had been harmed the most by the Manson murders, apparently she said, “Myself.” I wonder if she’s gotten past such a view by now. It’s not just the dead who are dead sometimes.